Retirees aren’t the only ones having fun in Collier County. 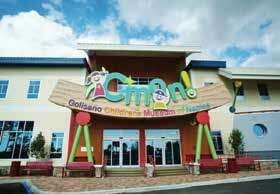 Since it opened in 2012, the Golisano Children’s Museum of Naples (C’mon) has celebrated the natural curiosity of children by offering a dynamic educational space that encourages exploration and discovery for children from birth to age 14. 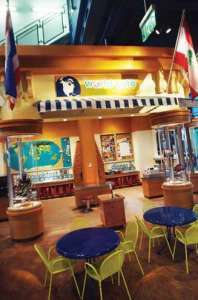 The two-story 38,000-square-foot space located across from the Sun-N-Fun Lagoon in the North Collier Regional Park offers hands-on play opportunities through 14 interactive exhibit galleries. 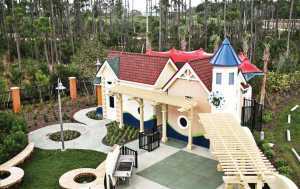 The popular attraction also includes the Johnsonville Backyardville play area, a Family Resource Library, Discovery Center exploration rooms, Garden Café with healthy snacks, and Museum Store. 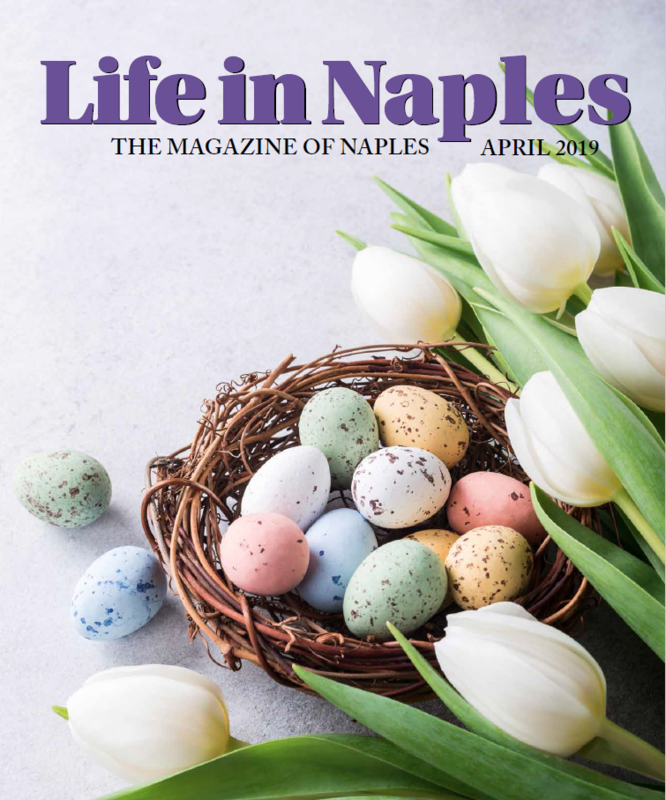 Utilizing state-of-the-art technology, the exhibits invite visitors of all ages to journey through the swamps of the Everglades, weave through a maze, climb a two-story banyan tree, or experiment with the water play station. Children can become a weather forecaster, a farmer, a chef, a fisherman, an artist, an architect or a veterinarian. They learn about the natural world while exploring the cold of an igloo, the whoosh of the wind, the sound of the sea, the effects of water and the colors of the rainbow. The newest exhibit, “Build It!,” invites children to use their imagination as they design and build structures using nuts, bolts, planks and gravity. In “Mother Nature’s House,” they experience earth’s rhythms and the four seasons. They take a trip to the “Produce Market” where they grab a shopping cart, shopping list and discover the bounty grown in Florida. On “The Farm,” they learn where that produce comes from by working as a truck loader, picker or other job. Sid the Science Kid: The Super-Duper Exhibit! created by The Magic House in collaboration with the Jim Henson Company is at C’mon through Jan. 18. Children enter Sid’s world and become hands-on “science kids” learning about simple machines, the laws of motion, magnetism and more. All of this experiential play fosters creativity, curiosity, empathy and self-esteem. Children can learn to develop the social skills needed to cooperate with others, sharpen their senses as a means for exploration, strengthens growth and fine motor skills, and develops problem solving techniques. And while adults can learn from these exhibits as well, they can also benefit from finding out how to make their homes “green” because C’mon is a certified LEED green building and serves as an educational learning lab. The museum uses wind turbines for power generation, solar hot water and rainwater harvesting for restroom facilities, among other environmentally sensitive and energy efficient projects. Membership is available, supports the museum’s operations and offers many benefits. C’mon members receive unlimited free admission for one year, discounts in the Museum Store and Garden Café, and invitations to special members-only events. Membership can be purchased at the end of a day’s visit, with the admission amount paid applied to the cost of membership. C’mon is fully accessible to all children regardless of their physical or learning abilities. Robin DeMattia has been a freelance journalist and marketing consultant for more than 20 years. Monday: Closed | Tuesday-Saturday: 10 a.m. – 5 p.m. | Sunday: 11 a.m. – 4 p.m.
Monday and closed on Wednesday. * Adults must be accompanied by a child to gain entrance to C’mon.